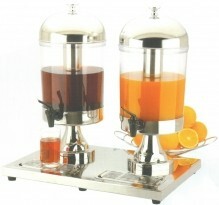 Beverage dispensers are a must-have accessory for any banquet hall, fundraiser or buffet station! 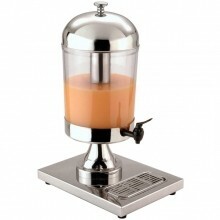 Whether the beverage is hot or cold, it will maintain freshness in one of our various dispensers! 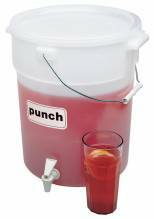 Looking for more than one beverage dispenser? Opt for a double or triple dispenser which are able to hold more liquid, decreasing the amount of times it needs to be refilled! Our Cambro insulated beverage servers are perfect for buffet bars or outdoor catering and special events. Provide your customers with some hot chocolate, coffee, tea or apple cider with our reliable Camtainers!